Part of the Perito Home Sewing range, Perito Modulo is the amazing new software that allows you to load and save designs from a full range of domestic formats and then manipulate them in a wide variety of ways. 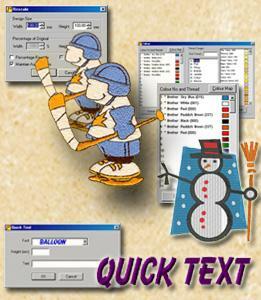 Take control of your embroidery designs! A wide range of extra 'plug-ins' are also available that allow you to customise Perito Modulo. You only have to buy what you need and therefore can build a system that's just perfect for you! There are 7 options in all and they can be bought individually or in groups. Which machines can I use with Perito Modulo? If your embroidery machine accepts standard floppy disks, you simply choose the format you want and save direct to the disk. 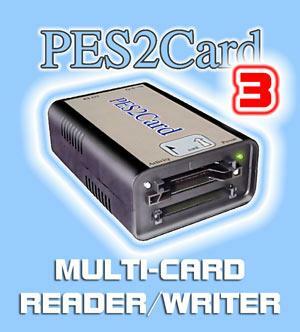 Alternatively, if you have a card reader/writer just save the design to your hard disk in the appropriate format and then save to your embroidery card in the usual way. Then when your design is ready just save it direct to the appropriate card.